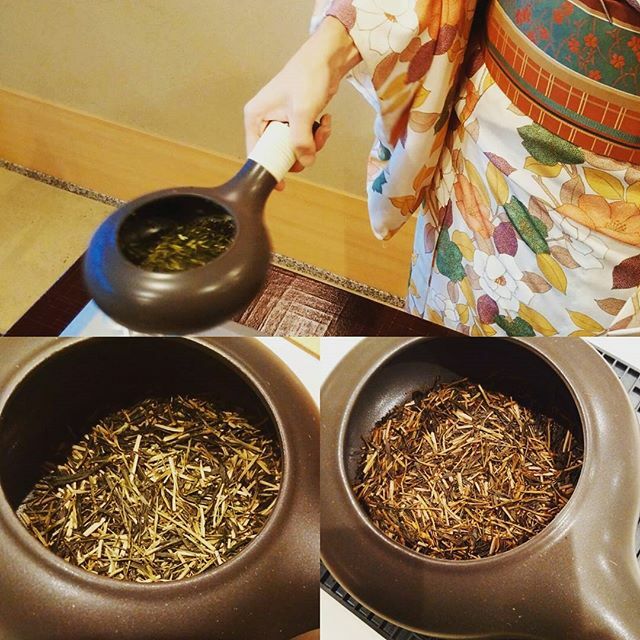 Enjoy the making Japanese roasted green tea, called Hojicha in its original word. Kyoto is the first place in japan to introduce the method for roasting green tea leaves in a porcelain pot over charcoal in 1920, whereas most Japanese teas are steamed. High temperature fire is used to roast the leaves, altering the leaf color tints from green to reddish brown. This roasting process lowers the amount of caffeine in the tea. 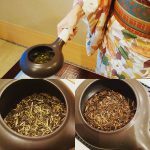 Great beverage to accompany evening meal of after, even before going to sleep.In this program, you will get to try the first handed fryingEnjoy the making Japanese roasted green tea, called Hojicha in its original word. 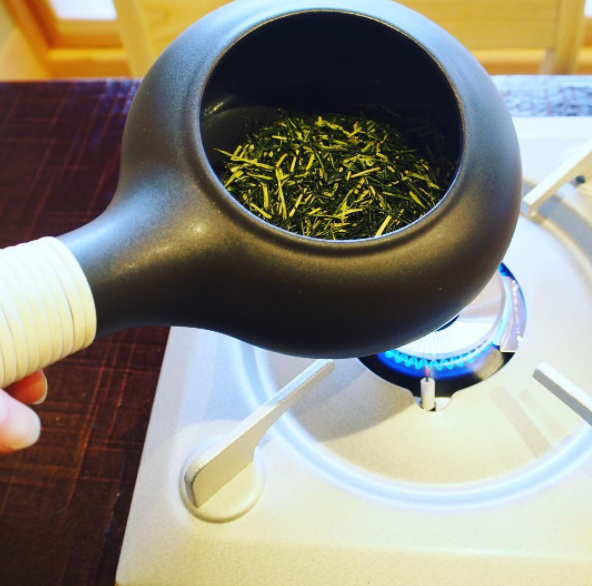 Kyoto is the first place in japan to introduce the method for roasting green tea leaves in a porcelain pot over charcoal in 1920, whereas most Japanese teas are steamed. High temperature fire is used to roast the leaves, altering the leaf color tints from green to reddish brown. This roasting process lowers the amount of caffeine in the tea. Great beverage to accompany evening meal of after, even before going to sleep.In this program, you will get to try the first handed frying pan method to roast the tea leaves. This method is commonly practiced by the local tea shop. The pleasant tea fragrant is said to be good for health. Extra point that the smoke produced from the process is nice for your skin!Your first ever fresh hand-made Hojicha can be enjoyed right after it’s done, along with some tea sweets. Leftover can be brought back home for friends and loved ones. Tea bags will be provided.This is the only place where you can experience making your own Hojicha in its birth city. Pan method to roast the tea leaves. This method is commonly practiced by the local tea shops. The pleasant tea fragrant is said to be good for health. Extra point that the smoke produced from the process is wonderful for your skin!Your first ever fresh hand-made Hojicha can be enjoyed right after it’s done, along with some tea sweets. Leftover can be brought back home for friends and loved ones. Tea bags will be provided.This is the only place where you can experience making your own Hojicha in its birth city. Please go to Japanese tea house 'Chasanraku' directly at reservation time. If you cancel your reservation, the following cancellation rates and remittance charge will be charged. ◆Please follow the program master's instruction during the program. We shall not be responsible for any accident caused by disregard for the instructions. ◆Please advise us if you have any religious or health restrictions, allergies, or the case where you would like to request a special care for participants, including children. Please email us at info@truejapantours.com to check the availability and share the information. ◆Our services are mainly offered in English(Chinese, Spanish　*on request). In case you would like services in languages other than English, please inquire us at info@truejapantours.com as soon as possible. We will check the availability. ◆Our business hours are from 8:00 am to 5:00 pm on weekdays. For inquiries received outside the business hours, we will look into them and respond on the next business day.